The AeroPro at the 2013 International Wayfarer Championships – Toronto, Canada. 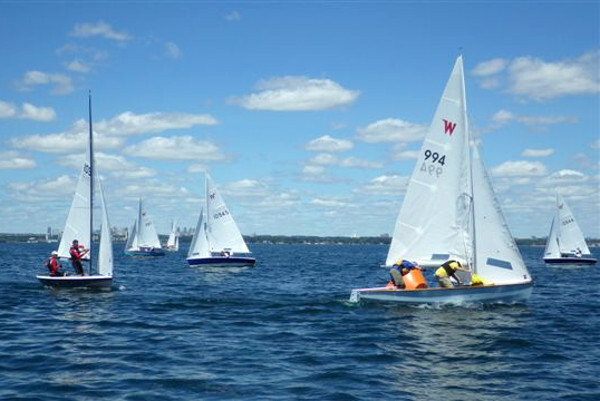 2013 International Wayfarer Championships – Toronto, Canada. W994 rounding the windward mark, ahead of W10918, Richard Hartley (4th overall) W10945, Simon Strauss (2nd overall) W10944, Quentin Strauss (6th overall) and W397, Sue Pilling (3rd overall).